Ever since FTL first came out, I’ve been wanting a game just like it, only with more stuff to do. Crying Suns is out here trying to do just that. An upcoming game from a team of French indies, it’s very similar to FTL in that it’s a sci-fi roguelike game where you’re in command of a spaceship that has to travel the galaxy, with every step you take risking death for you and everyone under your command. 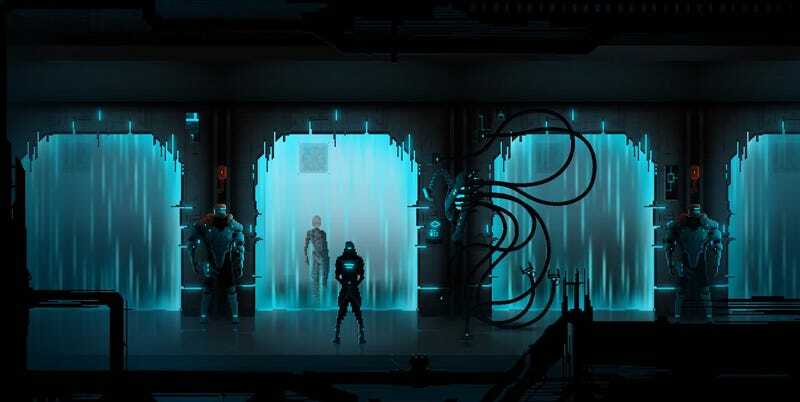 Where it differs, though, is that while FTL was content with a veneer of story dressing up a large serving of constant terror, Crying Suns wants to flesh out the experience with characters, heroes, ground missions and exploration. The game is currently up on Kickstarter, but there’s a polished playable demo available here if you want to try it out now. The demo only features one of the game’s 24 sectors, but it’s enough to give you a taste of most of the core experience. Just from that demo, I’m really digging it! I love the art, which blends 2D pixel imagery with 3D models, and the more sedate pacing and variety of experiences made me feel very much in command of such a big ship. And the way I could explore systems and poke around gave me some old Mass Effect flashbacks. You can back the game here.